On Saturday, the United States ceded oversight of one of the Internet’s most basic and fundamental functions — the so-called “root zone,” which governs new domain names and addresses — handing it over to a small non-profit group by allowing a 47-year contract to expire. For decades, the U.S. Commerce Department held a contract with the Internet Corporation for Assigned Names and Numbers (ICANN) — whose executives and board of directors must now report to an Internet “stakeholder community,” loosely comprised of academics, activists, engineers, government officials, and corporate interests. With the lapse of the contract, the U.S. fulfilled its objective to “privatize” the Internet — something proponents claim would help bolster its integrity around the world. As the Internet rapidly expanded around the planet, many felt U.S. oversight anachronistic. “This transition was envisioned 18 years ago,” said Stephen Crocker, board chairman of ICANN and an engineer who helped develop early Internet protocols, in a statement cited by AFP, “yet it was the tireless work of the global Internet community, which drafted the final proposal, that made this a reality. But the move didn’t come without vehement opposition, including from some U.S. lawmakers who felt giving up oversight could permit less scrupulous regimes to seize total or partial control of this vital Internet function — with potentially disastrous results. Attorneys general from Texas, Arizona, Oklahoma, and Nevada staged a last-minute effort to intervene, by requesting a temporary restraining order which was heard in federal court in Texas on Friday. Despite their understandable fears the contract lapse would put the U.S. and the Internet in uncharted territory — and could threaten the integrity of .gov addresses and more — the judge denied their request. 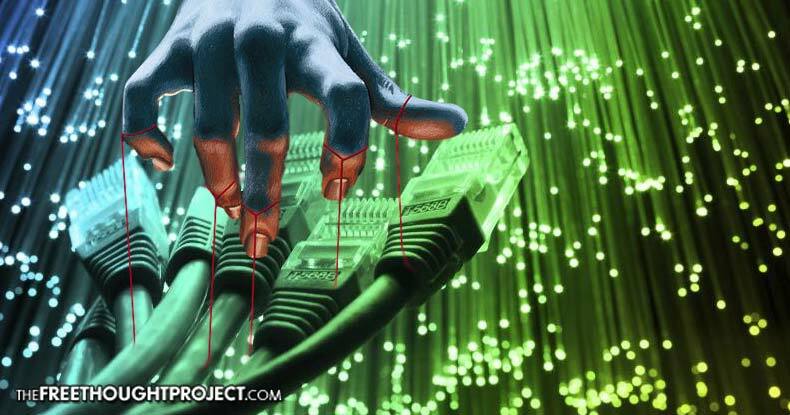 Technical experts say it isn’t as simple as ‘giving away’ the Internet, since the U.S. didn’t ‘own’ it in the first place; but placing control of the root zone — officially, the Internet Assigned Numbers Authority (IANA) — in the hands of ICANN does present pertinent questions. ICANN’s decisions haven’t been without controversy, however, and the U.S. had the option of offering the contract to another entity. And as The Economist noted, whoever controls the Internet’s “address book” also holds the power to censor — any domain name can be revoked and the website no longer found. Critics have also noted the eagerness of proponents of the transition, such as notorious globalist George Soros, as an indicator ceding control should be considered more carefully — or at least delayed significantly to give the American public some say in the matter. Still, experts say such fears are wildly overblown. Whether the transition will ultimately prove beneficial or detrimental likely won’t be fully realized for some time.